Owning a dog can be a wonderful experience as they can provide loyal companionship and a reason to get out into the fresh air and walk everyday! If you choose to adopt a rescue dog then you’ll also get a fantastic sense of happiness knowing that you have given a previously unloved animal a second chance at a better life. However, as with many things in life, owning a dog comes with a lot of responsibility. As well as walking them regularly, keeping them well groomed, making sure they have enough physical and mental stimulation, you will have to also ensure that they eat the right food. Dogs are well known for giving you ‘puppy eyes’ when they want a taste of your food. But did you know that there are many human food ingredients that are actually toxic to dogs? 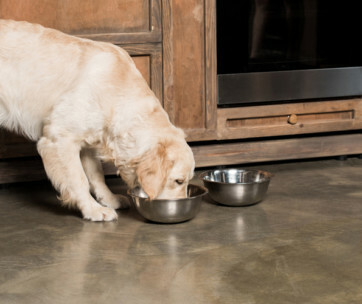 Here are 15 foods that you should never feed your dog in any circumstances. Anyone who has ever owned a dog will know that dogs like to beg for food. If you’re eating something then it’s fair game to them and they will play every trick in the book to have a taste! It’s easy in this situation to give in and give them ‘just a little bit’, but this can be deadly if you let them eat the wrong thing. Chocolate is a good example of this. Whilst we all know that chocolate in small quantities is pretty harmless to humans, did you know that it is highly toxic for dogs? There is a special ingredient in chocolate called theobromine that is actually poisonous to canines. When ingested, chocolate can cause damage to the kidneys, heart, central nervous system and gut. 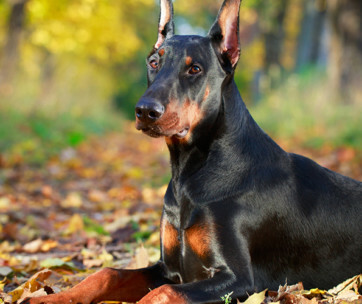 You will be able to spot signs of chocolate poisoning between 4-24 hours after the dog has ingested the chocolate and this can cause fits, internal bleeding or a heart attack. Onions in a raw or cooked state can be very harmful to dogs. If ingested they can cause gastrointestinal irritation and even red blood cell damage. The problem with this is that onions are often used in many food dishes that we like to share with dogs. If no visible onions can be found in the food then don’t forget that onion powder often is used as a flavouring in gravy and sauces. Best way to avoid this problem? 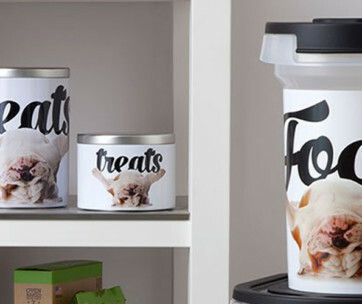 Don’t ever feed your dog human food. There are some ingredients on this list that are really deceptive. For example, how many of you would have thought that something like grapes, raisins and sultanas that are super healthy for humans could be toxic for dogs? First rule of thumb here, is that if it’s healthy for us then it’s not necessarily healthy for dogs at all. The toxic ingredient of raisins, sultanas and grapes has yet to be discovered, but what we do know is that they still are all toxic for dogs. In fact, just one raisin can cause kidney failure in dogs if the dog already is suffering with an underlying health problem with its kidneys. My dog has eaten a raisin what do I do? If you suspect that your dog has ingested a raisin, grape or sultana then you should consult your local veterinary clinic immediately. They will be able to advise and if necessary, treat your canine with activated charcoal or similar. This ingredient shouldn’t really come as a surprise really as we all know that alcohol is toxic and many of us will have felt the effects the day after. Giving your dog a sip of beer on a warm day might seem like an innocent thing to do but trust us when we say that you won’t be doing your dog any favours. In fact, alcohol is a lot more toxic to dogs and can cause a number of unpleasant side effects including: sickness, diarrhoea, difficult breathing, tremors, changes in blood, coma and even death. There seems to be a general feeling that milk is good for animals and this just isn’t the case at all. Take for example cats; people talk about leaving ‘saucers of milk’ out for stray cats but the reality is that this can cause stomach upset and diarrhoea. Milk isn’t good for dogs either. In fact if your dog has ingested milk then it’s likely that it will suffer from the same fate of diarrhoea and digestive upset. Why do dogs get diarrhoea from milk? Simply put, dogs don’t have much lactose in their system which is needed to break down the lactose in milk. Read any piece of research about garlic and you will be well aware that this little ingredient packs quite a punch when it comes to its healing properties. What you might not know, is that whilst garlic is super healthy for adults, it’s a different story for canines. Garlic is actually part of the Allium family, which also includes onions, leeks and chives. It’s poisonous to cats and dogs and considered to be significantly more toxic than onions and leeks, five times more potent to be precise. There are certain breeds of dog that are more sensitive to garlic poisoning, including: Akita and Shiba Inu, however all dog breeds should be kept well away from this food ingredient. If garlic is ingested it can cause stomach upset; diarrhoea, abdominal pain and vomiting. If toxic levels have been ingested then it can actually cause severe damage to the red blood cells, making the chance of them rupturing significantly higher, leading to anemia. Tiny levels of garlic may be safe for certain animals but very large amounts can be extremely toxic. At this point we can almost hear the gasp from most dog owners as they read this post – spinach! But yet again, it’s important to point out that whilst some foods are great for us they can be equally as harmful to animals. Spinach is one of those ingredients. It’s a controversial issue as some people tend to think spinach is ok. But while the benefits of spinach include: vitamins A, B, C, iron, antioxidants and beta-carotene. The negative aspects of this vegetable greatly outweigh its pros because spinach contains a high quantity of oxalic acid which blocks the body’s ability to absorb calcium. This can lead to kidney damage and even kidney failure. A dog would have to eat a large quantity of spinach to feel these negative effects, but why risk it? If you’re preparing a meal and decide to share a raw mushroom with your favorite pooch then that’s not going to cause your pet any harm unless the mushroom is mixed with a sauce containing butter, onions or garlic etc The problem is when your dog is out on a walk. It’s very difficult to monitor your dog when they are off the leash but if you ever see them approach a wild mushroom then get them away from the area fast. Wild mushrooms can be deadly if ingested by humans and dogs. If you suspect your dog has ingested a wild mushroom or is displaying symptoms of discomfort then get them to the emergency veterinary clinic asap. Wild mushrooms are no joke and a dog cannot differentiate what is toxic and non-toxic in the wild. There are certain parts of a rhubarb that is safe to eat, such as the stems. However, if your dog eats a few rhubarb leaves then it’s going to find itself very sick indeed. Rhubarb leaves cause a calcium drop with dogs and so the symptoms they display will be one or more of the following: unusual drooling, loss of appetite, weakness, changes in thirst and urination, lethargy and tremors. If you notice any of these symptoms then it’s time to call the vet. There should be no reason why any dog owner would give their precious pet caffeine, unless they want Rover running around the house like a crazy dog. We do however, understand that accidents can happen and dogs will try anything. If your dog has had a cheeky sip of your coffee don’t panic. If he/she has raided your store cupboard and ingested coffee beans or a tea bag then get them to the veterinary clinic asap as the toxicity symptoms are similar to that of chocolate. So to answer the question, can dogs have caffeine? The short answer is…no! These type of nuts are harmful if ingested by dogs. 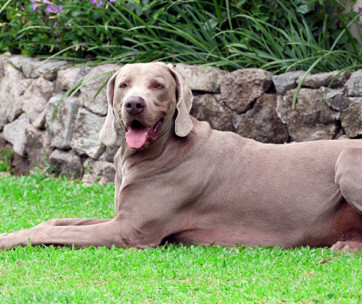 Macadamia nuts contain toxins that only seem to affect dogs and not any other species. If your dog has eaten macadamia nuts then it will likely display signs of weakness – possibly finding it hard to walk on its hind legs, vomiting, high temperature and bizarrely…depression. Clinical signs would usually occur 12 hours after the dog has eaten the nut and usually clear up within 48 hours. Blue cheese is bad for dogs and a big no no if you’re planning on sharing a snack with your furry friend. Dogs find it very difficult to break down dairy products (we mentioned milk earlier) and so will likely suffer from digestive issues, sickness and diarrhoea. Blue cheese is exceptionally bad for dogs as it contains a substance called roquefortine C, which will not only cause the same symptoms as normal cheese but other potential complications such as twitching, tremors, high temperatures and seizures. Whilst beets are not likely to be harmful to your dog, it’s best to avoid them to be safe. Beetroot is full of goodness and for most dogs, the worst thing that could happen would be if your dog choked on a large beet or they got red dye over their recently groomed fur! Beetroot can be problematic though, for dogs who are predisposed to have kidney or bladder problems. Because the root vegetable is high in oxalates which can ultimately cause kidney problems or kidney failure if ingested in large amounts. Why can’t dogs eat corn on the cob? Veterinary specialists are asked this question all the time. The problem isn’t the vegetable itself. Corn is healthy and doesn’t contain anything toxic for your canine buddy. It can be tempting to throw Rover a piece of corn on the cob but we strongly advise against this. The reason is because of the shape and texture of the vegetable. Corn doesn’t digest well at all and could easily cause discomfort and intestinal problems for your pet dog. In fact, there have been many reported cases of dogs getting a corn on the cob stuck inside their intestines, which is not only traumatic for the dog and owner, but potentially deadly too. Look out for a reduced or loss of appetite, abdominal discomfort, diarrhea or lack of faeces. Xylitol is a nasty ingredient. Found in thousands of different foods, this artificial sweetener can cause an insulin release in many species which ultimately can cause a drop in blood sugar levels that can be fatal. Small amounts of xylitol can cause a toxic reaction with dogs and is linked to vomiting, loss of coordination, lethargy, seizures and potential liver disease and blood clotting disorders that can be fatal. 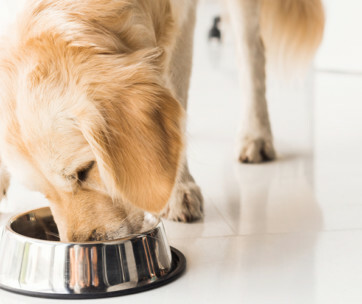 If you suspect your dog has consumed any product containing xylitol (such as sugar-free candy, diet foods and diet cake) then seek veterinary help immediately. 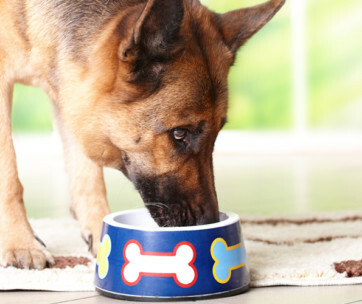 There are many food ingredients that are harmful and potentially deadly for your dog. The best way to monitor what your dog eats, is to make sure they only eat special dog food and don’t share your dinner with the dog! If you suspect any toxic poisoning then seek help immediately.